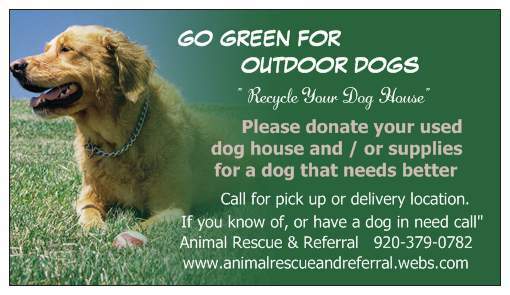 Accepting donated doghouses, and providing to other outdoor dogs. 2010 Volunteers from left to right: Anthony Rychtik of Antigo, Dan & Pat Anderson of Deerbrook, Myself, Deb Potschaider of Wittenberg, Behind me, Roger Young- Humane Officer of Wittenberg. and Phil Sloan of Antigo. 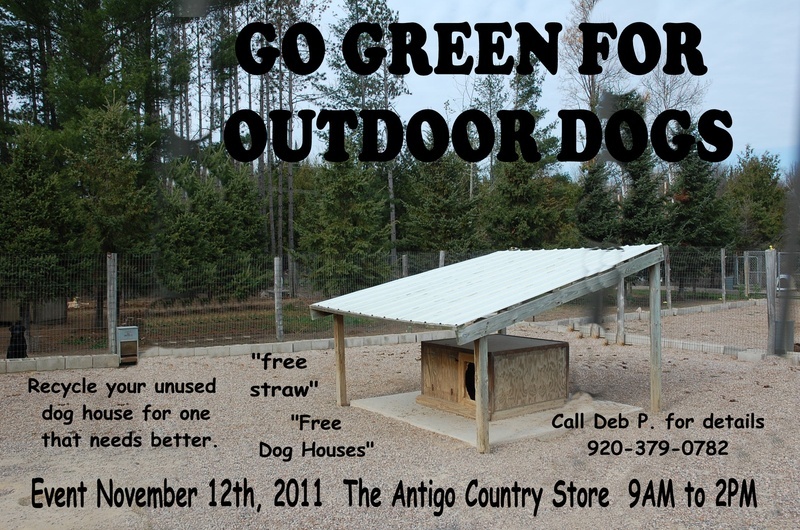 As of this date Nov. 27 , 2010 we have had over 15 dog houses donated and one man offer to build us dog houses for free if we run out. We have delivered 12 between Antigo and Wittenberg. 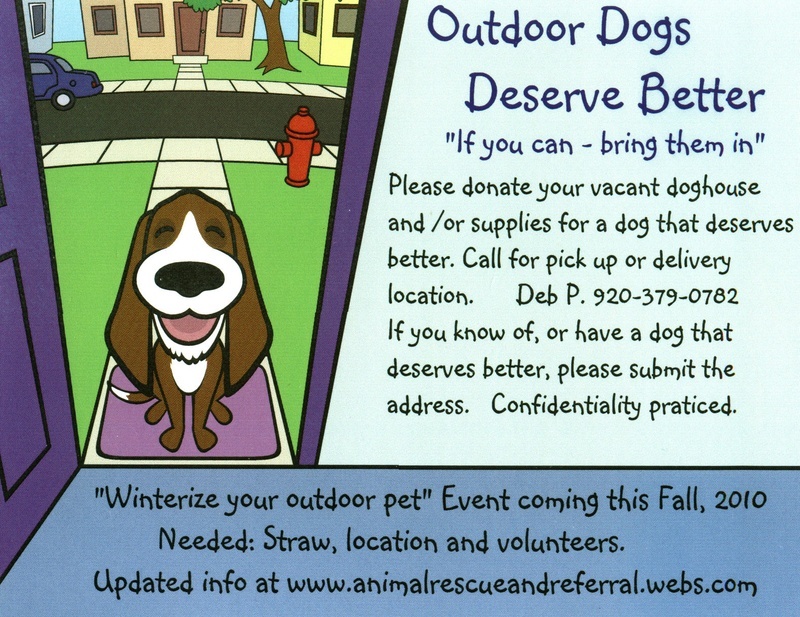 This was the 1St Annual Outdoor Dogs Deserve Better Event . It took place on Oct. 23rd, 2010 on a very cold and rainy day, in front of the Antigo Counrty Store. From left to right are volunteers: Anthony Rychtik of Antigo, Phil Sloan of Antigo, Pat Anderson of deerbrook, Deb Potschaider of Witterberg, Gwen Utnehmer of Antigo and Annete Randl of Antigo. Bottom is Jack, a dog that lived outdoors for 3 years, and now has a loving indoor home. 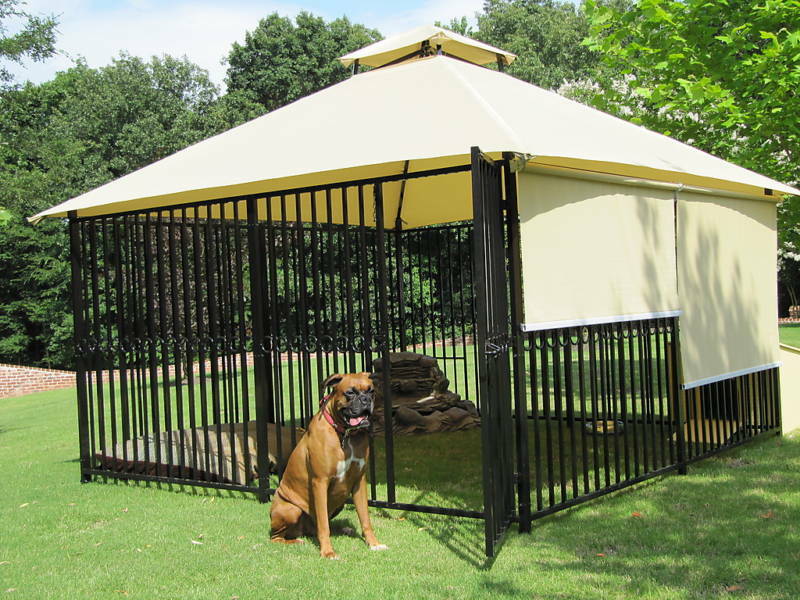 The Proper way to keep outdoor dogs, if you must keep them outdoors, is seen below. Dan Neuske breeder of Labs in Wittenberg. The purpose of this event is to call attention to the hundreds of dogs that are kept outside in these Wisconsin cold winters and to improve their lives.Personally I don't believe in keeping a dog, which is a pack animal, outside 24/ 7, Not only is it harder to stay warm when you are alone, it is very lonely and boring. 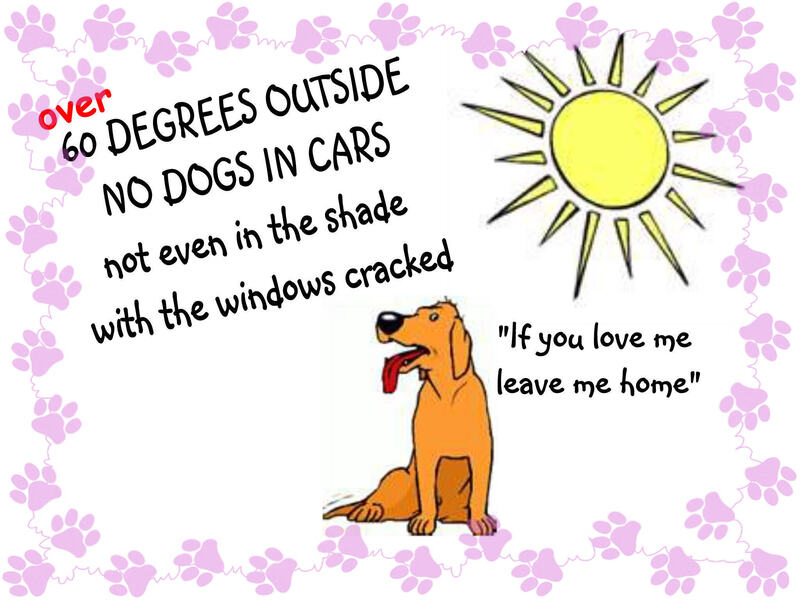 However keeping dogs outside has been common for many years and it will take many more years before people stop. So in the meantime I would like to try and make an effort to improve their outdoor existence if possible. But I need your help! I need people to donate straw, their insulated dog house and their time. I need some strong people to be able to lift the donated dog houses I have, and help deliver or pick up, and to do some repair. Please call me if you can help. The first event took place in Antigo, on Wed. Oct.13th, at 6pm in the Antigo country Store.The address was 715 Superior St. I shared information about the proper way to "winterize your outdoor pet", and asked for donated dog houses and outdoor supplies. The 2nd event took place at the same place, only held outside on Saturday, Oct. 23, starting at 9am to noom. 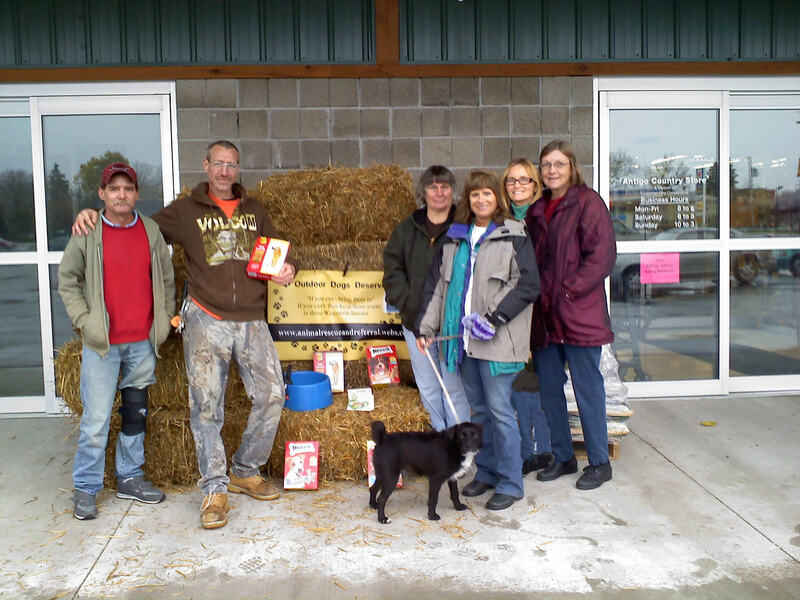 I had a truck full of donated straw, a few donated dog houses and information about the needs of a outdoor dog in winter. If you know of a dog that looks like he could use a warmer house or has other needs, but don't know how to approach the owner, please call me with your concerns. Send a letter to "Letters To the Editor" in your local newspapers. Try this- Park your car in the shade on a day when its about 60 degrees out. Park in the shade and crack all the windows. Put on a sweater and sit in that car for a minimum of 20 minutes. Please copy any part of this page and send it to your local newspaper in the Letter to the editor page. For your letter to the editor, to be accepted you must sign your name.